I am a professional wedding and event photographer based in Warrington Cheshire covering all the North West including photography in Manchester, Liverpool, Preston and Chester. I provide a premium event and wedding photography service with a friendly and laid back approach whilst delivering an exceptionally professional photography service. My proessional photography service also covers pet photography, corporate photography, children and family portraiture, as well as offering a highly rated exceptional photo booth and photography service. If you are considering hiring me to photograph your party, or to capture your wedding day, or maybe to photograph an important corporate event, then it's only fair that you learn a little more about myself first by visiting my Contact page. A premium wedding photography service with a friendly and laid back approach whilst delivering an exceptionally professional photography service. I am a Warrington Cheshire based wedding photographer also covering all North West including Liverpool and Manchester. My event photography service covers a wide variety of events and parties, from birthday party photography and engagement party photography to corporate event photography and also Christmas dos, all across North West including Manchester, Liverpool as well as Warrington Cheshire. 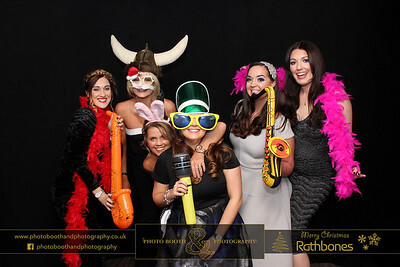 My 'photo booth and photography' service is a fantastic choice for many events. I use large brackdrops along with a viewing screen with an instant print service, accompanied by loads of great quality props and a glamorous assistant (my wife). Photo Booth & Photography for Cheshire and North West. 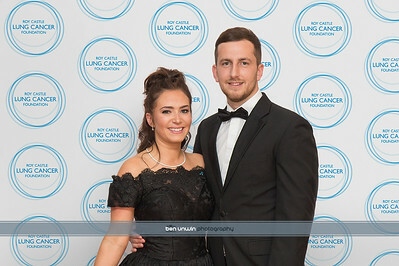 Such a professional event photography service, Ben Unwin Photography is now our first choice event photographer for all of our events in North West, he is professional, polite, hard working and mixes with our guests very well. Everyone loves the photos, thanks again Ben. We asked Ben to be our wedding photographer in December 2017. Our ceremony was at 5pm then straight into the evening party. We were concerned about the limited amount of time that we had available to get the pictures we wanted. Ben made sure that we had everything we had specified and more. He has such a great eye for what works and the results were truly amazing. He is incredibly patient yet knows how to get the best of a group of people that don't necessarily listen! Thank you Ben for capturing our special day in such beautiful photographs. We are so pleased you were part of our day and everyone who sees your photographs loves them! Brilliant photographer, would definitely hire again in a heartbeat! Excellent, professional and friendly. Could not find a fault in Ben's service. Would highly recommend him. Everyone at the event is delighted with the professional photographs and his effort. Cannot thank him enough. Thank you so much for our stunning wedding photos, we just love how you managed to capture the day. If anyone is looking for a wedding photographer in warrington or near by we will definitely recommend you. We can't wait to see our wedding album too, the proofs you have sent so far are beautiful. Your wedding photography skills knows no boundaries. Thank you Ben Unwin Photography. Ben is a calm, friendly and completely professional photographer who has the patience to capture amazing photos. Highly recommended for event or wedding photography. Wedding Photography Warrington and across the North West including wedding photography in Liverpool and Manchester as well as Wigan and Runcorn and many more places. I love photographing weddings, from small weddings to large scale weddings. Birthday photographer North West is one the professional photography services I offer, as well as event photography, and children's birthday party photography in Warrington and Liverpool and Manchester and the North West UK. Wedding photographer based in Warrington covering wedding photography for Manchester, Liverpool, photography for weddings in Bolton, Wigan, Warrington and more. Pet photographer in Warrington, covering many great locations for pet photography sessions in and around Warrington and a lot further too. My Warrington pet photography service covers photo sessions for Warrington and all over the North West, including pet photography Manchester, pet photographer for Liverpool too. I provide natural light on-location pet photography sessions all across the Warrington and the North West. The location is up to the owner, but I can recommend many beautiful locations for your pet's photography session. I like to look for places with plenty of greenery, and pathways for your dogs and pets to run up and down. My sailing photography service covers all types of sailing events, from dinghies to yachts, from toppers and Laser sailing to 40 foot sailing races, I am a sailing photographer covers as many events as possible. I am based in Warrington, but I am happy to photograph sailing across the UK and the globe is need be. I really love being a sailing photographer, being out on the water with my camera getting plenty of sailing action photos.